I introduced my little girl to one of my favorite pieces of public art in Seattle. I dove into the Winter/Spring semester as a full time student. I went to New Orleans to attend the Conference for Young Women affected by breast cancer. It was so powerful to be in a place with nearly 1000 other young women living with breast cancer. It’s not where you’re going, or the conditions along the way; I learned that what really makes a difference is your traveling companions. A friend I never met passed away. I lost my inspiration, and then found it again at the grocery store. Reviewing my pictures from New Orleans inspired some contemplation on my own guarded and self-protective tendencies. April flowers reminded me that sometimes I need a time out, too, and that taking a break can help me refocus on what really matters. I thought long and hard about why I blog. I was one of 5 authors reading our work about living with breast cancer at Courage Night. I was challenged to chronicle just one hour of my life for a blog post, and the results were magical. I was profiled on Parenting with Cancer. Two years after chemo, I finally got my hair back into a ponytail. Every year, I run away with my girls from the Young Survival Coalition (young women with breast cancer) for a retreat at the Harmony Hill Retreat Center. It’s a slumber party for grownups, but even more important, for a moment, we’re in a place and group where life with cancer is normal, and everyone understands what we’re going through. I gave peas a chance. I wrote a piece for Survivorship Partners on Cancer and Guilt, when I noticed how much judgement there is around a cancer diagnosis. Nobody deserves cancer, not even me. I traveled to Indianapolis to attend the Affiliate Summit for the Young Survival Coalition, and to participate in the process of changing much of the structure of that organization. The experience left me with a powerful lesson in change management. My husband went to Istanbul to present his research at the International Society for Iranian Studies Conference. While he was there, he had a significant health crisis. I didn’t blog about that part, but it was more terrifying to me than my own cancer diagnosis. He’s healthy now, however, and he did manage to get a few great photographs of Istanbul while he was there. We attended the cutest birthday party ever. Our cousin’s daughter’s 3rd birthday party had a dinosaur ballerina theme. Perfect, as Gem is into dinosaurs and ballerinas, as well. You really can’t go wrong with homemade dinosaur tails and tutus for each of the kids. My husband and I celebrated our eighth wedding anniversary, and I reminded the universe that the sickness and poorer parts of our vows were not an invitation. I also challenged to universe to remember that there was a richer and health part in there as well. I contemplated how even expected and gradual changes can sneak up and surprise us. In Taking Back October, I mourned the loss of one of my favorite months, October, to the Breast Cancer Awareness money making machine, and I discussed the difference between working towards awareness for the most well known cancer, and working towards a cure. Plans for my second mastectomy and reconstruction surgery started in earnest. My surgery is scheduled for 2/4/13. Mom will be flying down from Alaska to take care of my little one. Cancer didn’t make me stronger, it sapped my strength like nothing I’ve ever experienced. Here’s what did make me stronger. I came to understand the power of gratitude, and the benefit of a gratitude journal. The Fall semester of school was so exhausting for me that I made the decision to take a semester off from school starting in January 2013. My little girl was overcome with the joy of giving. 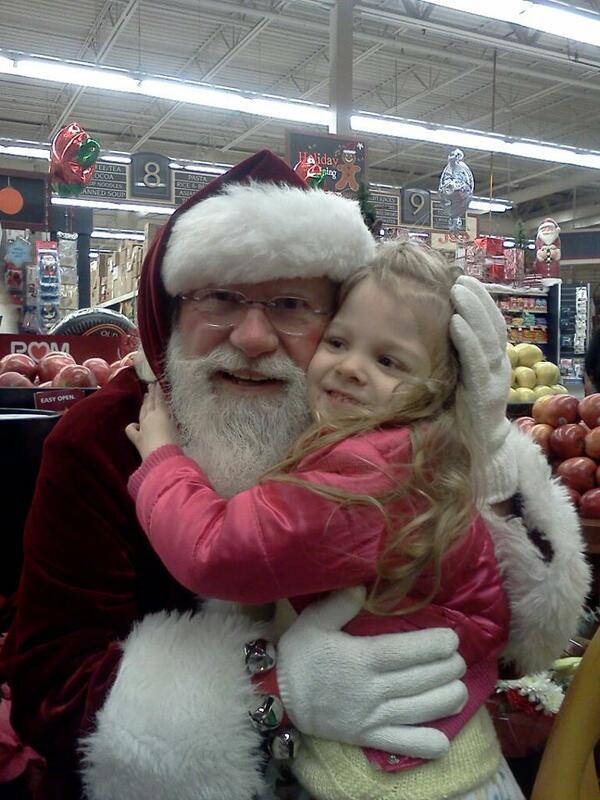 And we had a magical moment when my daughter ran into Santa at the grocery store. After a year of being very self-protective, guarded, and often feeling buried, in the dark, or underground, my word for 2013 is BLOOM. That’s where it’s at – it’s time to stretch wide and soak in the rain and sun and everything else that comes at me.